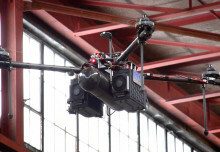 It was on May 9th, 2013, when an Unmanned Aerial Vehicle saved a human life. This historical event happend in Canada, in rural area Saskatchevan and the “hero” was a quadcopter Draganflyer X4-ES. Rescue operation ground units and manned helicopter was searching for a seriously harmed car driver for two hours unsuccessfully, until the drone precisely located the hot spot. 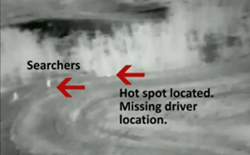 This search and rescue was possible also thanks to a used FLIR thermal imaging camera system. You may think that it´s actually nothing so special in these days, however there is something pretty new consequence of this affair. 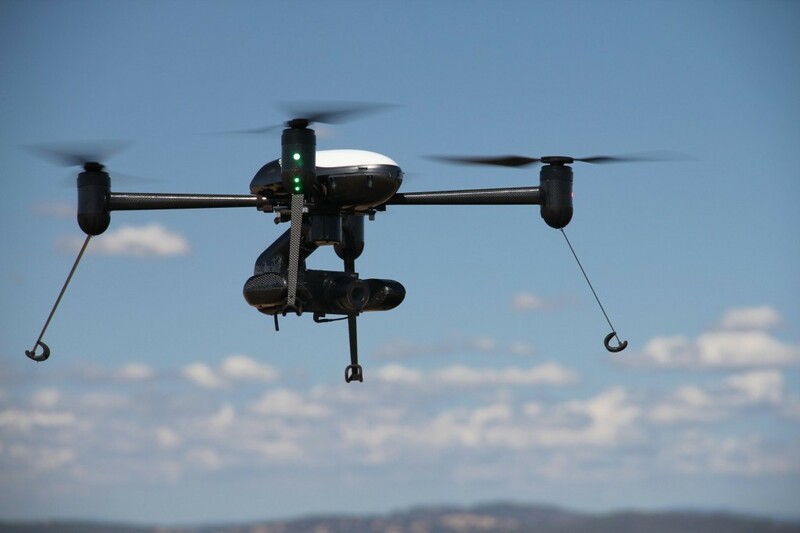 The well known Smithsonian’s National Air and Space museum recently decided to exhibit the copter in order to preserve such significant contribution of UAVs to saving human lives. As you probably know, aerial thermography is a great solution not only for precision agriculture, building structure inspecting and such, but also for rescue operations support. 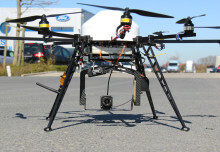 This particular quadcopter was carrying a FLIR TAU camera system, capable of transmitting live aerial video directly to the RCMP (Royal Canadian Mounted Police) ofﬁcer on the ground. The infrared camera reportedly quickly located three various sources of heat, so then was just a pushover to find an injured driver. 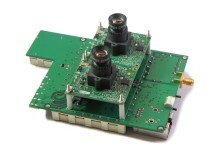 Thanks to the aerial point of view and a free-time video transmitting was the operator able to effectively directed rescuers to the injured man. According to the RCMP statement, if he had not been located in time with the UAV, he would have surely died because of his serious injuries and exposure to the cold. 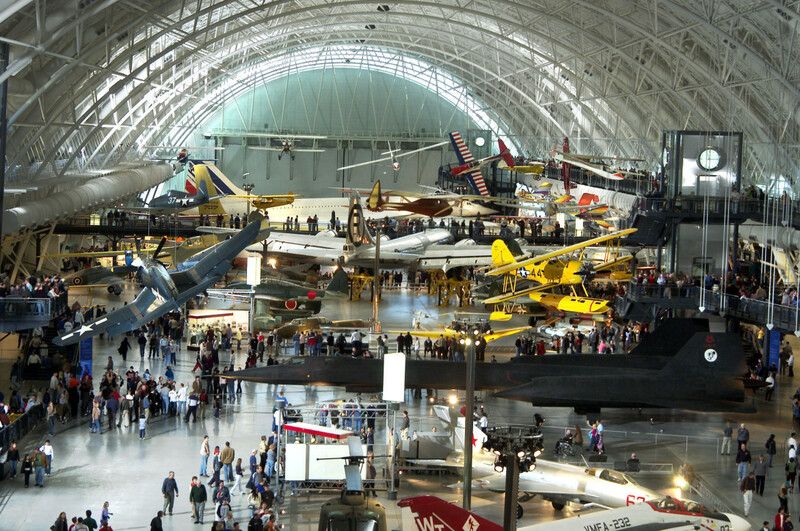 The National Air and Space Museum’s Steven F. Udvar-Hazy Center is located in Chantilly, Va., near Washington Dulles International Airport and is probably the most visited museum in whole America. Its exhibitions, collections and research is traditionally focused on aeronautical and space race history or planetary studies. It´s really a joyful news for all UAS community around the world that this very institution has exhibited the rescue quadcopter as a memento of a live-saving act. 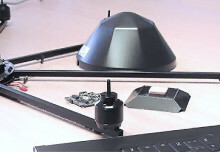 Especially considering certain negative public image which may drones have due to their military origin or connection to the spy and surveillance technology, such examples of positive aerial applications and their presentations are a crucial matter. Moreover, I find this generally fair enough, that this exhibit of honour comes from the Draganflyer Innovations company. In fact, they are the longest running manufacturer of multi-rotor helicopters in the world and their Guardian and X4-ES systems are real highlights on the emergency services market.